Founded in 2010, VectorSource is a group of digital production specialists spanning multiple disciplines including architecture, game development, animation, and web programming, dedicated to providing our clients with the best visualizations current and upcoming technology can provide. Our headquarters are located in Ann Arbor, just west of the University of Michigan's central campus. Many of our clients are located in Southeast Michigan, but there is no limit to our service area. We are renderers, but also much more. VectorSource partners with architecture firms and their clients to collaboratively create imagery and experiences that improve design development and communication. 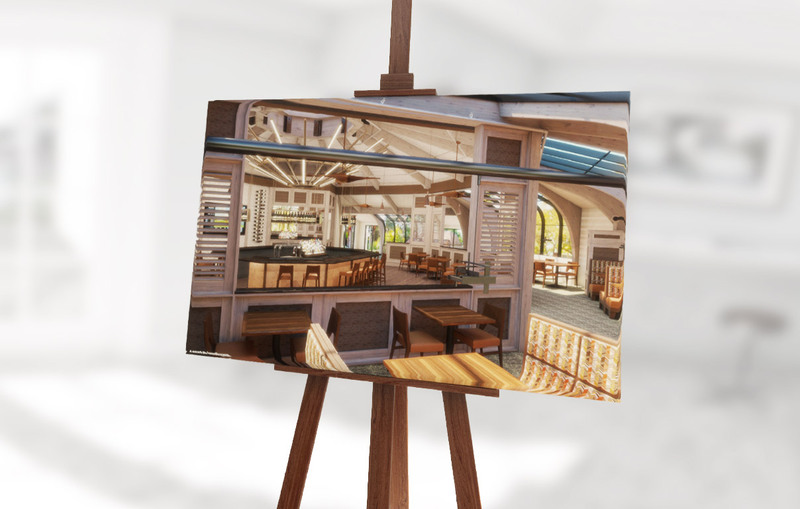 Whether we are handed a napkin with an inked sketch on it, or a full set of construction documents and corresponding BIM files, we work with you to meet your visual needs. Our iterative development process ensures that the end product communicates exactly what you want it to, and we strive to use the latest technology to best showcase your work. Lighting studies with physically correct illumination based on IES light profiles. Still images are great for communicating the high-level intent of a design, but what if a client wants more - to fully know, feel, and experience the design? For this, we have several services that push the project representation further. Once your design is modeled, we have the capability to create a camera path that travels through the space. This is then captured as a video file that can be played back on any desktop computer or mobile device, ideal for kiosk displays as well as website content. We can create 360-degree panoramic images for viewing on desktop computers and mobile devices, allowing for a light-weight & inexpensive interactive experience. 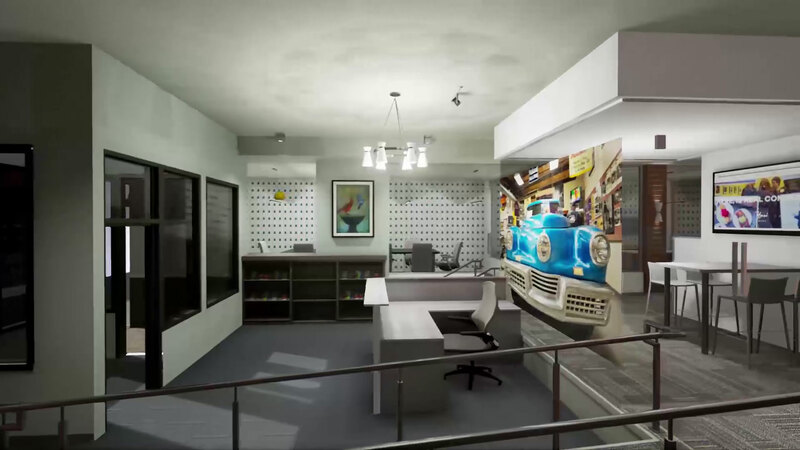 Furthermore, with adequate client hardware, we can extend visualization by delivering an application powered by Unreal Engine 4 that allows a user to navigate a designed space on their own using a conventional desktop or laptop computer. We can add features to this application at request if a client discovers a need, such as a user's ability to swap/place furniture and fixtures on their own, or an interface for navigating across multiple projects. Our game development and programming experience allows us to push forward our deliverables as the technology evolves. VectorSource is teaming up with Dreamgate VR, Michigan's premiere free-roaming virtual reality arena, to bring a new level of design visualization and interaction. Meet us at Briarwood Mall in Ann Arbor and we will give you a completely immersive architectural experience. Physically walk around your imagined space in a digital world, interact with it, and understand it at a real-world scale. When a project is ready for public exposure, we provide the needed graphics to successfully communicate your design. For printed publications, we output high resolution renderings to ensure crisp images, and fine-tune all colors before they go to the press. In addition, we provide all deliverables in a digital format, optimized for viewing on modern monitors and usage in webpages. In addition, we can assist in adding the provided graphics to your own website, or create one from the ground up as needed. In addition to the photorealistic renderings we provide, we are also able to take an artistic approach to the images we create. 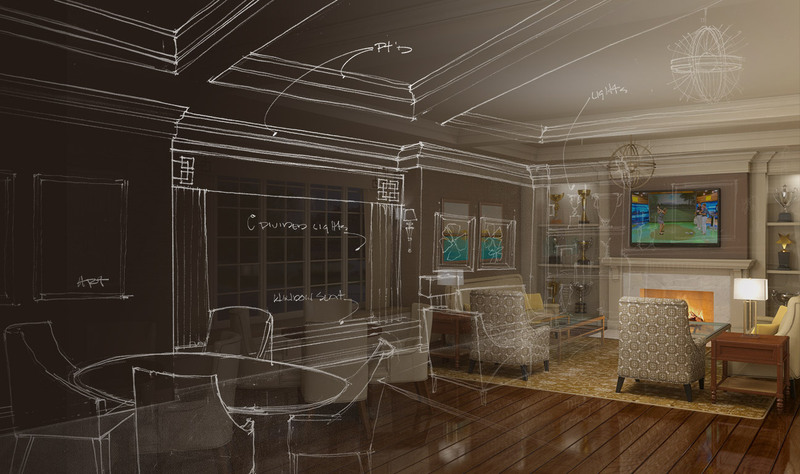 When a design concept is needed without the distraction of details, we abstract our renderings with hand-painted overlays and photomontage to emphasize the idea but still leave room for imagination. We would love to hear from you! Either reach out using the quick contact form, or email us directly: contact@vectorsource.com.